I completely understand that making some maternity shirts also nursing shirts ... but most people don't have the need for maternity shirts after they have the baby and if you're like me - you don't want to look pregnant any more. 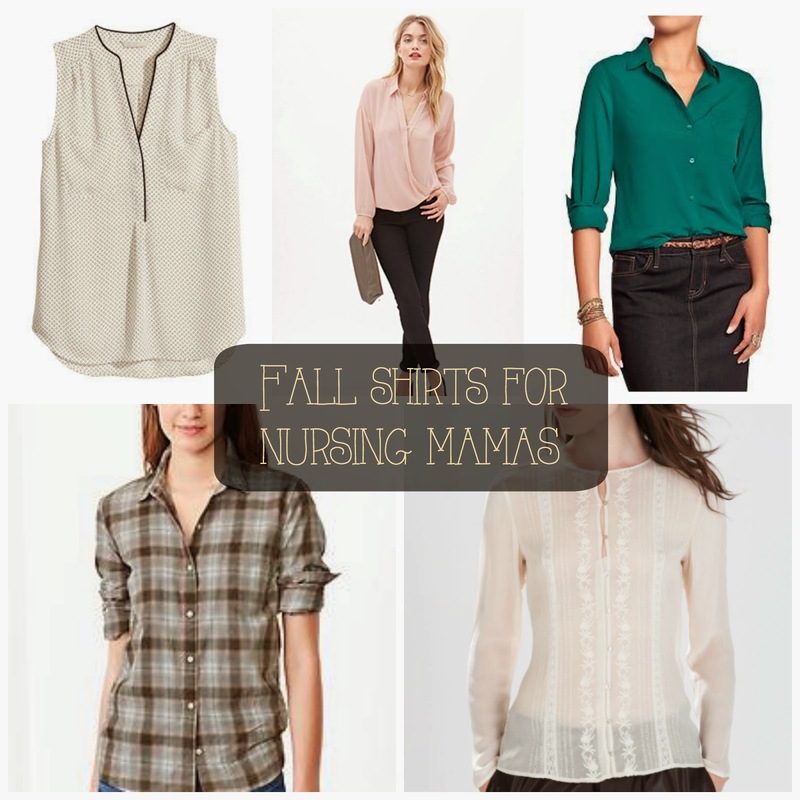 So after seeing a post somewhere else recently that highlighted "nursing shirts" that were all maternity shirts I decided I needed to do a post on normal shirts that would work well for nursing mothers. Because all a mama wants that just had a baby is to look and feel normal. Here are 5 finds at some basic standby stores. Sleeveless blouse from H&M: I like the black trim on this - and of course the buttons are a nursing mama's best friend. Collard Surplus Blouse from Forever 21: I'm really loving the blush color. Crepe-Chiffon Blouse from Old Navy: They have a few great colors of this blouse. The teal is my favorite and they are super soft. Fitted boyfriend shirt from Gap: I love the gray plaid color. Plaid is on of my favorite things about Fall. Embroidered silk blouse from Zara: A different take on the basic white button up shirt. I like the sheer fabric.